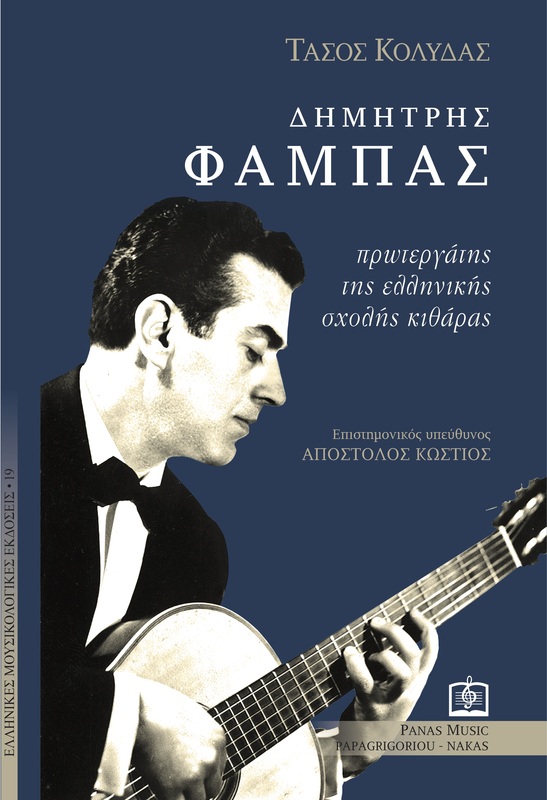 My book about Dimitris Fampas (1921-1996) was recently published (2017) by Panas Music. Pages: 456. Dimensions 17x24cm. ISBN: 978-6-18-531302-9. 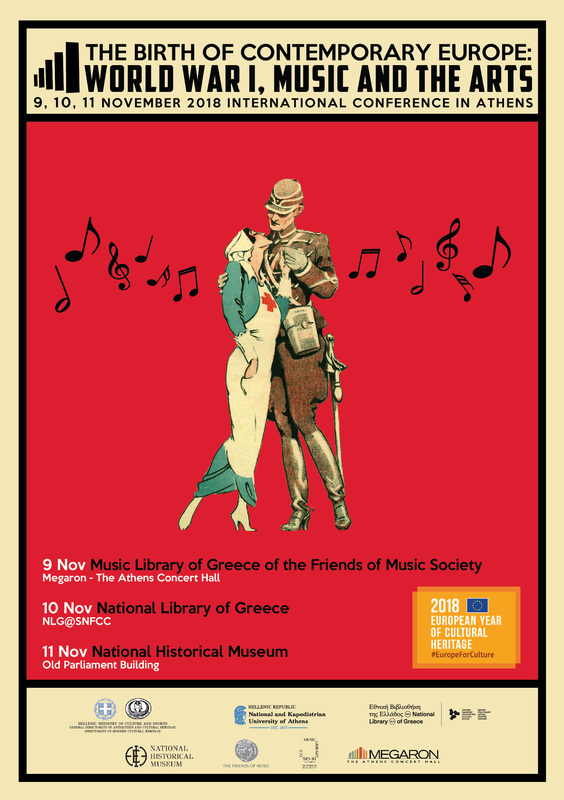 My goal is to cover an important gap in the history of Modern Greek Music and in particular to explore the rapid increase of interest in classical guitar in the second half of the twentieth century in Greece as well as the foundations and development conditions of the Greek guitar school, through the thorough study of the life and work of Dimitris Fampas. Digital scores provide valuable support to music teachers, either as aids for lesson design and implementation or as products of the educational process. From teaching music notation to supporting school musical events, a digital score is a consistent part of a music teacher’s efforts. Factors related to day-to-day classroom management are taken into account along with factors including equipment availability, financial resources for the acquisition of hardware and software, increased teacher workloads, and teaching in multiple schools. Since learning a score editing program involves a steep learning curve, software selection must be undertaken with care to ensure that it offers long-term benefits to both teachers and students. All things considered, it can be safely deduced that FOSS is the best choice for the Greek educational system. Music scores are a valuable kind of source for recording and studying music culture heritage. In particular, music manuscripts provide rich and diverse information; besides the musical content, they provide evidence for the conditions of creation of the musical work (corrections, additions and removals of material), composition (sketches, revisions, final version), identification of the work and the composer (creation date, original-copy distinction, writer's handwriting), etc. The ability to edit sheet music using a computer brings new possibilities, gradually establishing digital score as the best way to write music. On the other hand, most of the mentioned information are missing from the digital score. The purpose of the announcement is to examine the challenges, opportunities, perspectives which occur from the study of the digital score. World War I has been the turning point towards the birth of Contemporary Europe. It signaled the crucial end of the Empires and the shift towards new perspectives. The artistic and cultural output of the period in discussion has been rich and diverse, something that has been partially reflected on the scope of projects such as Europeana 1914-1918 , Europeana Migration and others. In this international multidisciplinary conference, we expect to discuss several issues that have to do with artistic and cultural manifestations and their connection to music and sound in general, which occur both during, but also after, the end of the Great War. Website & webserver administration: Tassos Kolydas. Design: Andreas Vakalios. Zagori is a region endowed with rare natural beauty. Historical conditions have shaped a particular cultural environment there, where the multiplicity of small societies does not negate the unity of the whole. This is a real cultural heritage site not only for the already recorded but also for the living memory. 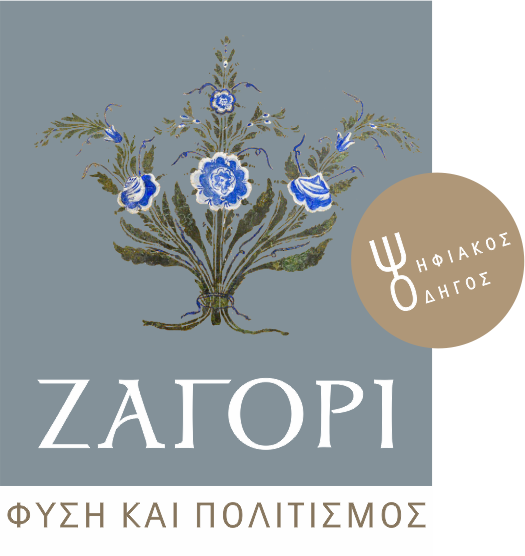 It is therefore natural for Zagori to be one of the most popular destinations in Epirus but also a lively sphere of social interaction where tradition meets modernity in most fields, from economy to the most direct forms of sociality. The Preveza Music School took part in the "European Day of Music" at Preveza on a monumental performance in the Roman Theatre of Nikopolis. During the first part of the concert, the School Orchestra interpreted compositions arising from, related to, or referring to the dream in a performance entitled "Dream and music [interpretation]." The Orchestra under the direction of Tassos Kolydas played original compositions, arrangements of famous works, and compositions of the students themselves. 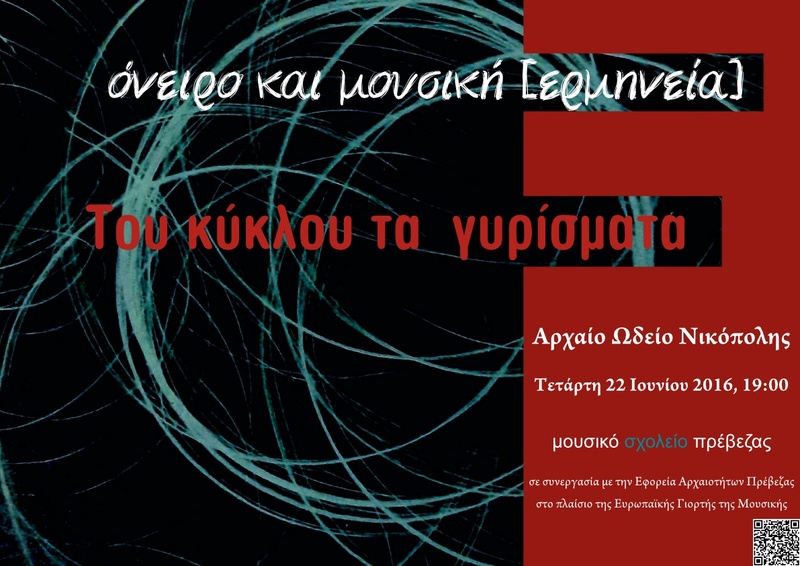 The 5th International Conference on Educational Policy (EduPolicies 2014) was held in Athens. It was entitled "International and European Trends in Education: Their influences on Greek Education System." The conference was attended by education professionals in order to develop dialogue on research and practical applications of advanced educational policies for teaching and learning. 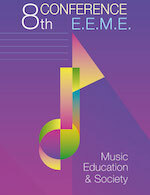 Tassos Kolydas presented a workshop on "Information and Communication Technologies in the service of education: finding and editing music for teaching music ensembles." The joint ICMC|SMC|2014 Conference took place in Athens, Greece, from 14 to 20 September 2014 and, for the first time, it brought on the cross-road two well established events: the 40th International Computer Music Conference (ICMC) joint with the 11th Sound & Music Computing conference (SMC). 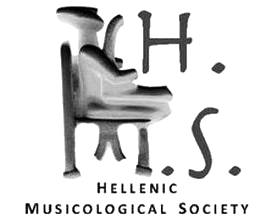 The main theme of the Conference was "Music Technology meets Philosophy: From Digital Echos to Virtual Ethos". Tassos Kolydas designed and implemented the registration system and supported the web server the mail server operation. He had the honor to attend the summer academy held at the conference, entitled «Computational Music Analysis». More about the summer academy. More about the conference. 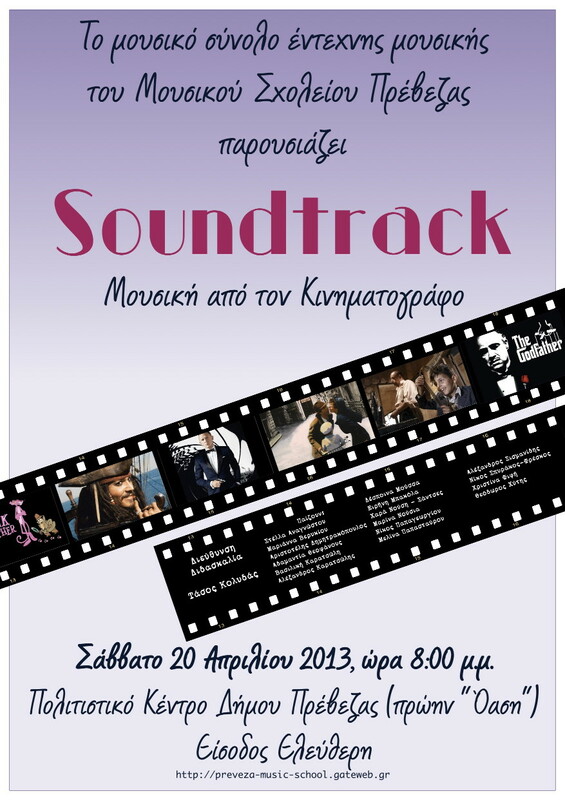 Soundtrack / Film Music under the direction of Tassos Kolydas. The event includeded compositions made ​​famous as a film soundtrack by American, British, Italian and Greek cinema.